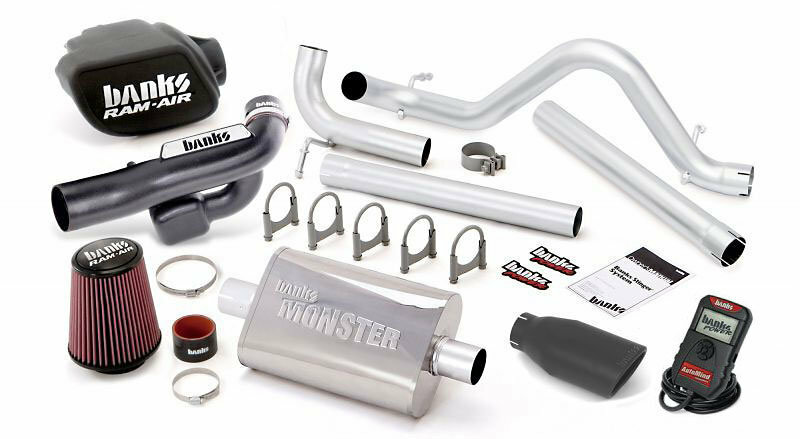 The Banks Stinger exhaust system is an engineered power system for Jeep street and off-road applications. With its free-breathing Banks Ram-Air® Intake and Monster® Exhaust upgrades, Stinger liberates 3.6L Jeeps from airflow restrictions, improving engine efficiency, durability and fuel economy while increasing power. The exhaust note is authoritative, yet civil, and includes a stainless tailpipe tip in either chrome or black. 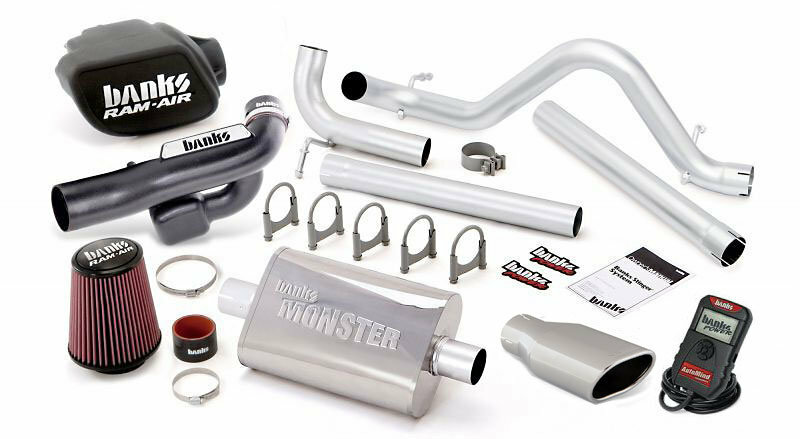 Monster Exhaust- Monster virtually eliminates backpressure from the catalytic converter back, for more power and efficiency and an authoritative, yet civil, exhaust note. Ram Air Intake- Banks Ram-Air Intake System replaces the factory's flat panel filter with a large conical lifetime filter that provides maximum high-flow filtration. The Ram-Air's opening dwarfs the stock's inlet, and without the 90-degree detours that choke airflow and kill power. Automind Programmer- The Banks AutoMind programmer comes "ready to run" with pre-loaded power, with towing, sport, or economy settings right out of the box and right for the job at hand!